Hey Hawkeyes! This week we sat down with our very own Heath Schintler, VP to be, to talk about how you can get involved with the University of Iowa Student Government if you weren’t elected into a position. 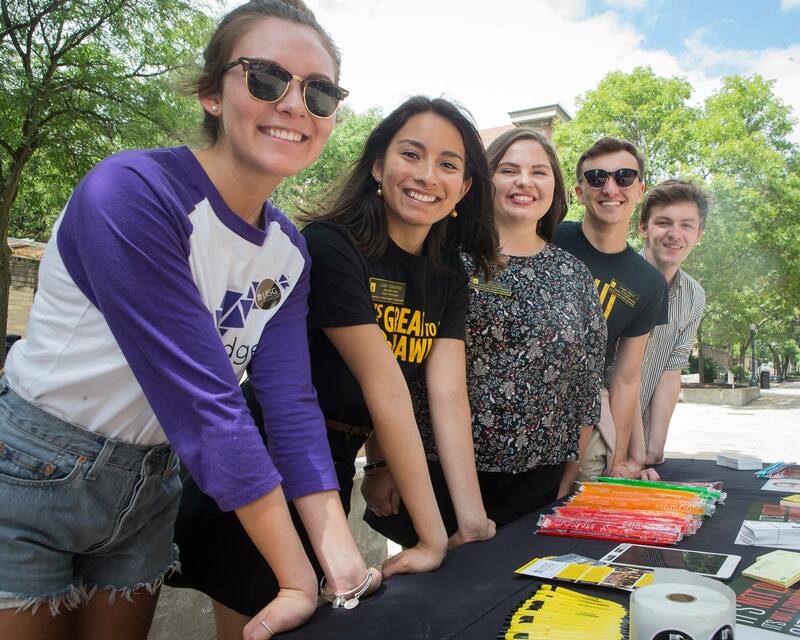 “Campus involvement with the organization is one of the biggest opportunities for growth within University of Iowa Student Government (UISG). This is problematic when you realize how tremendous of a resource the organization is, particularly in its collaboration with and funding of student organizations on campus. The best things students outside of the organization can do to get involved is to contact and meet with their representatives, particularly senators. You can see a list of all UISG members here: https://uisg.uiowa.edu/about/members/. If there’s somebody here you recognize or know, they will be your best point of contact for questions about UISG. If you don’t know/recognize anyone listed, try the Director of External Relations, Secretary, or Executive Assistant for more help. These positions can be especially helpful if there’s a specific policy/resource issue that you want to talk about, but may not know which position in the organization covers that topic. If students are involved in student organizations on campus, and especially if they hold leadership positions in their orgs, it is incredibly beneficial to research funding opportunities from UISG: https://uisg.uiowa.edu/funding/ and also to reach out to members of the organization about possible collaborations/partnerships on initiatives. This works towards the old adage “Work smarter, not harder.” If you and your organization are working on a project similar to one in UISG, it can be a good idea to work together instead. Lastly, once you’ve met with members of UISG, if you feel like it could be a good fit for you, apply or run for a position! Elections occur every late March/early April and offer positions for President, Vice President, and Senator at-Large. You can run with a ticket of other like-minded individuals, or run as an independent (for which there are currently specially reserved seats). Also consider applying for an executive position with applications coming out early April each year. Lastly, off-cycle applications, interviews, and appointments are made for recently vacated senate or executive positions should they arise. It’s more common than you may think, so keep an eye out for openings on you University email!